I’ve come to the conclusion that I have too many books. I know, I know. There’s no such thing, right? But after several library book sales, the closing down of our local used book store during which I got almost a trunk full of free books, and a few too many episodes of Tidying Up with Marie Kondo, I’ve decided I need to start clearing some space on my shelves. Now, that’s not to say I’ll be getting rid of everything. 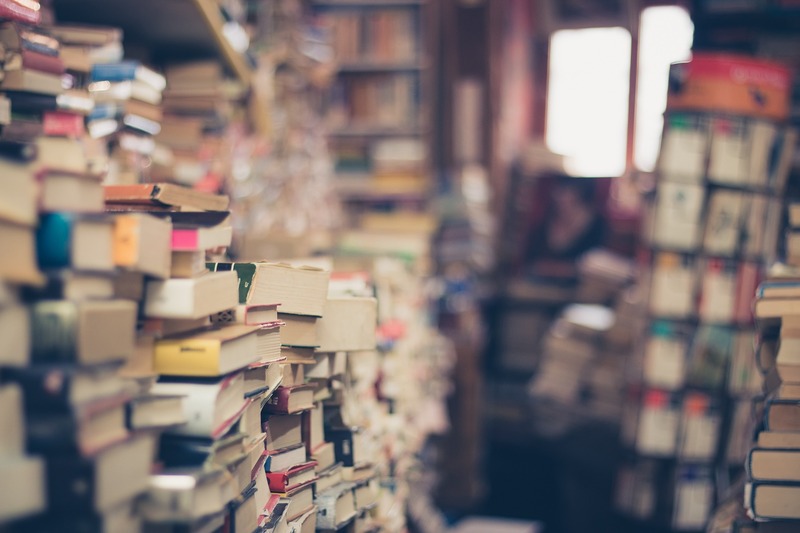 If you live in a house without books, are you really living at all? And anyway, some books are just too special to ever part with. I have a lovely wall shelf my husband built that I’d like to dedicate only to my signed copies and the books that were true lifechangers. I hope it’s big enough. Okay, well my problem isn’t this bad…yet. The problem is that most of the books I need to (or could possibly, maybe) get rid of are ones I haven’t read yet! I can’t just pack them all up without at least giving them a shot, right? So pretty soon you should start seeing a fresh flood of book reviews from me as I go through the shelf of random paperbacks in the dining room, the shelf of hardbacks that don’t fit anywhere else in the living room, the shelf of freebie fantasies from that store closing I mentioned, and the second shelf from that book store closing I mentioned…Oh, and there is a box (or two, or three) in the attic. What do you love in a story? Is it one that makes you laugh and cry? One with both romance and adventure? A tale that transports you to another time and place with vivid detail and excellent description? How about a book that you can’t stop reading because you want to see how it ends, and yet you never want it to end? A Class Entwined is all that and more. From the Back Cover: Trapped in a loveless marriage far from home, Bridget does what she can to fill her lonely days. She throws herself into charitable work, but her cherished daughter, Emily, is her only true source of happiness. In the continuation of A Class Apart, author Susie Murphy picks up the story of Bridget and Cormac. I absolutely adored the first in the series! 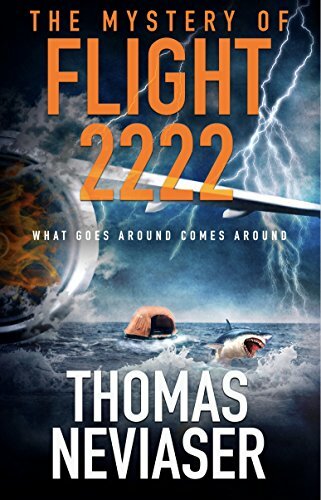 When I found out the sequel was about to be released, I literally jumped up and down and clapped my hands. I couldn’t wait for more. I wasn’t disappointed. A Class Entwined picks up with the same engaging characters, captivating scenery, and heart wrenching storyline. While I can’t say that I did any fact-checking, it’s obvious Murphy did a lot of research to make this story come alive. What I Loved: Everything! Really! What I Didn’t Love So Much: I honestly don’t have a single complaint about A Class Entwined, except that I wish I’d written it myself. Susie Murphy is becoming one of my favorite authors. 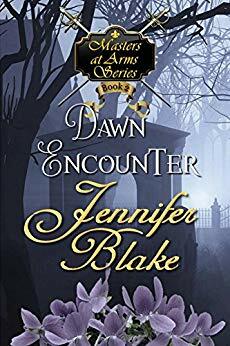 Rating and Recommendation: If you love romance and historical fiction, I highly recommend both A Class Apart and A Class Entwined. I’m looking forward to the rest of the series. Be sure to check out the rest of the blog tour! Hey, everyone! I hope your new year is going great! As usual, I’ve been using this time to get some things back on track, and I’ve dropped the ball on my blog over the last several months. So, to kick things off, let’s get back to book reviews! Move over Percy Jackson; Luthor McAlester is here. 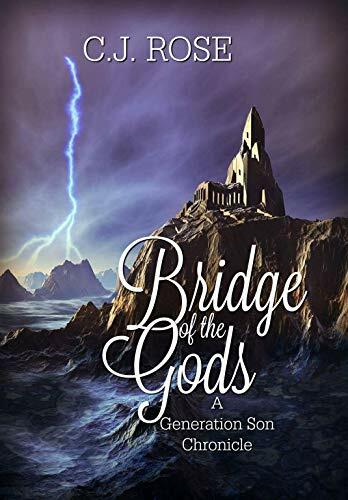 Bridge of the Gods, the first book in the Generation Chronicles series, follows Luthor McAlester, a teenage boy living in San Diego, California. His father, dying when he was a child, left him to become man of the house, to care for his mother and younger sister. On his 18th birthday he discovers a power that has been held dormant until now; unsure what to do with it in the absence of his father’s guidance. His best friend Gwen, who claims to be oblivious, knows more than she is telling. With just the help of his best friend, can Luthor figure out how to use his power and help the Gods like they ask? Or will the lack of guidance from his father prove to be more than Luthor can handle? What I Loved: I’m always up for a coming-of-age story that holds some magic in it. My favorite books are those that take real-world people and inject something different and extraordinary in their lives. The idea of a boy who finds out he’s descended from the gods definitely fits that bill. What I Didn’t Love So Much: Unfortunately, I really didn’t enjoy this book much at all. While the author definitely strove to jump into the action, I wish we could have had more of an established normal before things started. And on the other side of that, even though the main character was seeing a change in his life right away, I was pretty bored by most of the book. There was a lot of waiting, thinking about things, and reading. Much of the wording seemed too stiff and formal for teens, and yet at other times it was far too lax. I would’ve liked to see more consistency with this, though that’s not one of the main issues. Bridge of the Gods really needs more editing. Quotations around dialog were misused, there were missing words, and the tense wasn’t consistent throughout the story. This makes it very difficult to get absorbed into the story. This book is very similar to Percy Jackson. While I understand that popular books often inspire authors, I felt it was a little too similar on some aspects. I also feel that this book would be a lot more enjoyable if I had all this mythology memorized. It was too hard to keep track of the characters, and even though some of the mythology was inserted here and there to help with the backstory, it was difficult to follow. Rating: Guys, I seriously don’t like to leave a bad review for anyone. It breaks my heart as a fellow author, and I feel bad, but I just didn’t enjoy this book at all. I had to force myself to read it to the end, because I didn’t feel it was fair to write a review without doing so. It could be something incredible with a lot of development, but it’s just not there for me right now. Ladies and gentlemen, it’s time once again to win a free book! This month, is J.S. Frankel’s Outcasts. Just click here!